The tax disc has been a familiar part of motorist’s lives since it was introduced in 1921. But all that is to change later this year when it will be replaced with an electronic system of recording vehicle excise duty data. Pity, I quite enjoyed the challenge of being able to tear neatly along it’s perforated edge and remove it from it’s surround as a perfect circle. 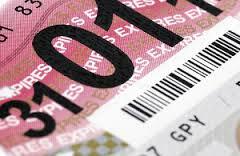 The vehicle excise licence is one of many documents that vehicle owners become familiar with. However, a lack of familiarity can be a problem for learner drivers studying for the driving theory test. At Prodrive Driving School I like to give my customers lots of help with subjects they are unfamiliar with so that they are more than prepared for their driving theory test. Let’s have a look at some other documents a candidate can be questioned on. MOT certificate. This is a compulsory annual test for safety and exhaust emissions of motor vehicles of more than three years of age. Driving without one could invalidate the driver’s insurance. It is only legal to drive a car over three years old without an MOT certificate when driving to an appointment at an MOT centre. Insurance. There are three different levels of car insurance: Third Party Only. Third Party Fire and Theft. Fully Comprehensive. Third Party Insurance is the cover that offers the least protection. It only insures any third parties who you may be involved with in an accident (if the accident is your fault). Third Party Fire and Theft Insurance cover offers only slightly more protection than Third Party only insurance. You are now covered if your vehicle has a fire or is stolen. Fully Comprehensive insurance covers your vehicle for all damage that may be caused to it that is either your fault or not. Update 15 April. Birmingham has the highest rate of uninsured drivers in the country. If you would like to know more about what to do in the event of a collision with an uninsured driver, have a look here. SORN. Statutory Off Road Notification. You would use a Statutory Off-Road Notification if you knew that your car was not going being used on public roads, going abroad for an extended period for example. Once the notification has been made, which lasts for up to twelve months, the car does not need to be taxed or insured.